If 2017 taught the business world any lesson, it is the relentless fury of natural disasters. From the hurricanes that ravaged the Caribbean, Florida, and Texas to the earthquakes that killed hundreds in Mexico, very few areas are risk free. Though this period represented an abnormally destructive few months, large-scale catastrophes are probable in many locations during the long-term timelines that companies plan to maintain operations abroad or partnerships with foreign outsourcers. So now more than ever, it is clear that this often-overlooked concern must be a factor in site selection. The human toll is always first and foremost on the mind of the world after tragedy hits — and rightfully so — but disasters like the tsunami that devastated Japan in 2011 highlight how physical supply chains can be disrupted for months and months. The same applies to the services world. to earthquakes. Peru and Colombia have been spared from the tectonic catastrophes that have struck Chile and Ecuador in recent years, but geologically speaking, there is essentially a ticking time bomb beneath all of the countries touching the world’s longest mountain range. The same goes for the volcanic region of Central America, and of course Mexico, where eruptions and seismic rumbling have devastated many areas. The lower-level development in cities like San Salvador and Guatemala City also mean that even smaller-scale earthquakes could potentially do major damage compared to more resilient and modern metropolises like Santiago in Chile and Bogotá in Colombia. In the Caribbean, most locations face severe hurricane risk, as was tragically apparent in 2017. Puerto Rico took a direct blow from Hurricane Maria in September, causing both a humanitarian crisis and near-total power outage that is expected to persist for months. Other islands, including Dominica, St. Maarten, the US Virgin Islands, and The Bahamas, suffered catastrophic hits from either Hurricane Maria or Hurricane Irma. The Dominican Republic and Jamaica mostly dodged the worst of it this year, but each country has been ravaged in the past. Interestingly, Trinidad and Tobago is the one higher-population island nation that remains mostly impervious to major storm damage. 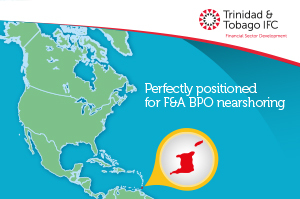 Though the country is defined by its Caribbean culture, many don’t realize how far south the two islands are located. They sit just off the coast of South America — far away from the more northern “Hurricane Alley” location that leaves the rest of the Caribbean islands so vulnerable to Category 5 winds and life-threatening floods. Just as fortunate are Argentina’s main cities, especially Buenos Aires, which sits largely away from the danger zone of Andean seismic activity. Brazil is even more blessed in terms of being largely immune to major earthquake or storm risk. Almost uniquely in the world, given its enormous size, Latin America’s largest nation is remarkably disaster free, outside of droughts and seasonal flooding issues that have rarely had massive effects for the big cities that draw the most foreign interest.